Good Morning Everyone! If you haven't sent out your Christmas cards out yet to family and friends, it isn't too late! 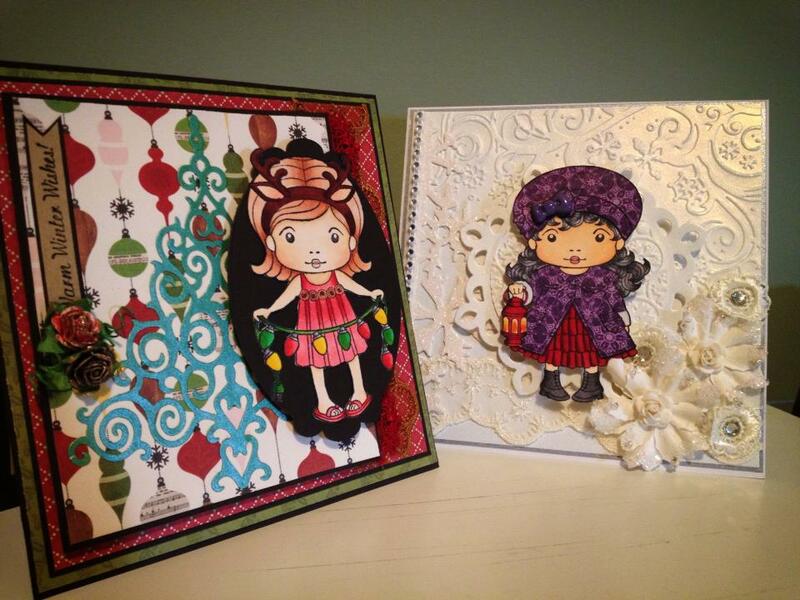 Today, we are sharing with you two pretty Christmas cards created by Designer Joanne Cheng. She used La-la land Crafts Rubber stamps for the girls and some Copic Coloring. For more information on these projects go to her blog by clicking here or go to her video by clicking here.